The 10 Best Christmas Tree Farms in Illinois! Picking out the perfect Christmas tree is a truly nostalgic holiday tradition in Illinois, and throughout the country. Illinois’ rich and diverse vegetation makes it a prime spot for Christmas tree farms. At these farms, you’ll find everything from Douglas firs to white pines, along with fresh doughnuts, cinnamon rolls, and plenty more treats. Here are the 10 best Christmas tree farms in the state. Known for its beautiful country setting and helpful atmosphere, Daniken Christmas Tree Farm offers over 70 acres of Christmas trees to choose from. This full-service farm makes buying a fresh tree a breeze. They handle every aspect of the experience for your (expect for picking out the tree) and offer attractions like wagon rides, bonfires, and Santa Claus. Don’t forget to check out their gift shop, as well. Williams Tree Farm is a choose-and-cut farm known for their holiday spirit. The locals have made this tree farm a family tradition because of all the warm atmosphere, friendly staff, and great selection of trees. But this farm offers much more than just trees—they have horse-drawn rides, a beautiful gift shop, and much more. The beautiful grounds also makes for a popular wedding venue. This family-owned business is one of the friendliest Christmas tree farms in the state. They are eager to help throughout the entire process and even have a little cabin for customers to warm up by the fire with hot chocolate, coffee, and cookies. This certainly isn’t the largest tree farm in the state, but they have a great selection of beautiful trees. Cupola House Tree Farm is open seven days a week and sells a wide variety of trees including pre-cut and cut-your-own. They also offer natural handmade wreaths and other holiday decor. Customers appreciate the prompt and professional service, abundant tree selection, and overall inviting atmosphere. Hager Tree Farm is known for their fresh, beautiful Christmas trees and other season greenery. Customers love this tree farm because of the helpful staff members and nice selection of trees. The farm is also very organized and the prices are marked clearly on the trees. The gorgeous barn is the center focal point of Hager Tree Farm. For a traditional, old-fashioned Christmas experience, look no further than Bomke’s Patch. They offer 13 acres of trees and a memorable holiday memory for your family. Bomke’s goes beyond most Christmas tree farms by giving you a complimentary digital family photo, bag of popcorn, and warm drink upon leaving. Don’t forget to stop by their barn to check out their holiday decor and gifts. This family-owned tree farm has been providing high-quality Christmas trees since 1995. 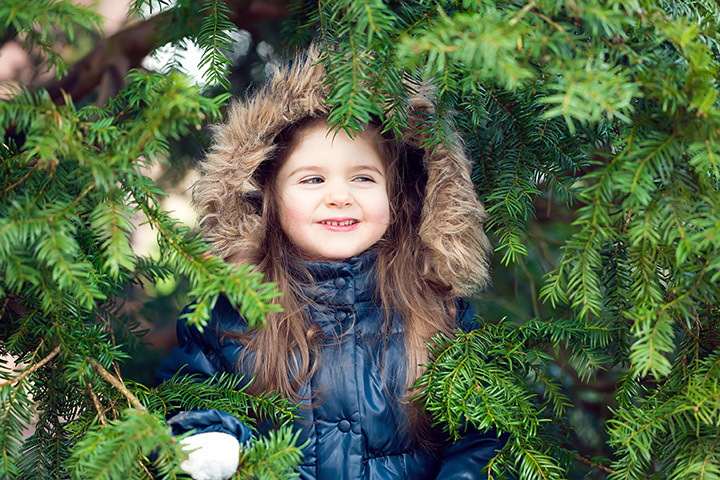 They offer five varieties of trees including Douglas fir, concolor fir, balsam fir, Fraser fir, and Canaan fir. Their trees are very reasonably priced (around $55). Customers can also purchase antique barn wood furniture, fresh wreaths, and other greenery. The trees at Pioneer Tree Farm are raised organically and free of pesticides. They aim to provide a natural, laid-back experience surrounded by beautiful and diverse vegetation. However, don’t expect to find a perfectly-shaped tree here—they keep the trees as natural as possible (no trimming or shaping)! Pioneer Tree Farm is ideal for families who aren’t looking for the tallest or most perfect tree, but rather most natural tree. Tammen Treeberry Farm is the ideal place for selecting a tall Christmas trees. You’ll find Douglas firs up to 12 feet-tall along with 16-foot white pines and scotch pines. They also have beautiful eight-foot firs available. Customers appreciate the reasonable prices and fantastic tree selection. Although primarily known for their pumpkins and apples, Kuipers Family Farm also offers a great selection of choose-and-cut Fraser fir Christmas trees. They’ll also shake and bale your tree for free and give everyone in your family or group an apple cider doughnut. Don’t forget to visit the huge gift shop and bakery.